Money, Power, or Love. If you had the choice, what would you choose? This is the question Vivian French’s Prince Thorfin must ponder in her gold medal winning book, Singing to the Sun: A Fairy Tale. Born into an aristocratic family controlled by might and wealth, the prince begins a journey to choose his bride. Along with his two companions, the jester and the cat, he must choose between three princesses offering three very different rewards: money, power, or happiness. Although it may seem predictable, the children’s book takes a surprising twist – but don’t let me ruin it for you! 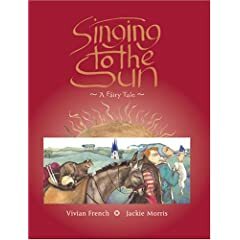 Accompanied by the magical artwork of Jackie Morris that brings the characters to life, the lessons within Singing to the Sun: A Fairy Tale are clearly portrayed and easily taken to heart. …then get out of the kitchen. It’s something we’ve all heard it before. Thankfully, Pam Abrams offers another solution in her gold medal winning book, Gadgetology: Kitchen Fun with Your Kids. This delightful book is (pardon the pun) jam-packed with creative recipes, games, and crafts aimed at bringing you and your child together in the kitchen. Gadgetology not only introduces readers to a multitude of kitchen gadgets, but also suggests new and exciting ways in which they can be used. Whether it’s using a juicer to make some old fashion lemonade or a box grater to create “crayon stained glass,” Gadgetology is guaranteed to provide fun that is educational and imaginative. In addition to the tale of young Jonny and his father’s outdoor antics, Adventures with Jonny: Let’s Go Fishing! by Michael DiLorenzo offers everything one needs to know for a fun-filled fishing escapade. Inventive illustrations catch the eyes of readers while they sift through an abundance of helpful information. Whether its casting a reel, tying a knot, or hooking a fish, Adventures with Jonny can show you how to do it safely and with a smile on your face. So what are you waiting for? Find your reel, grab a friend, and Let’s Go Fishing! Adventures with Jonny: Let’s Go Fishing! 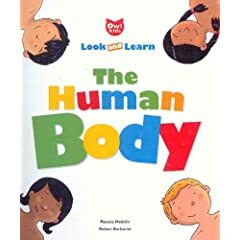 was the gold medal winner in the Best First Book category. 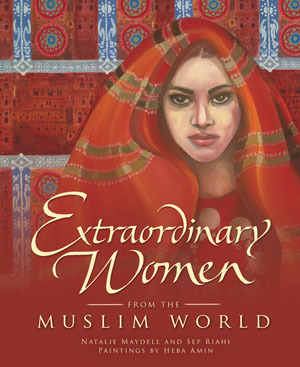 Click Here to visit the author’s website. Our Friendship Rules, written by Peggy Moss and Dee Dee Tardif, is a gold medal winner in the 2007 Moonbeam Children’s Book Awards in the Picture Book for All Ages division. Peggy is a former hate– violence prosecutor and Dee Dee, her inspiration and subject of study, is a ninth grade student. This book is about a friendship broken by betrayal and the code of conduct that accompanies all substantial relationships.